Good News everyone. 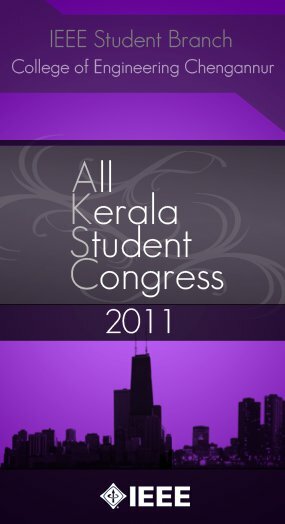 The IEEE All Kerala Student Congress will be held on 22nd to 24th of July, 2011 at College of Engineering Chengannur. This entry was posted in CEC Senate, College of Engineering Chengannur, IEEE, Other and tagged AKSC, AKSC 11, AKSC 2011, AKSC11, AKSC2011, All, All Kerala Student Congress, All Kerala Student Congress 11, All Kerala Student Congress 2011, All Kerala Student Congress2011, CEC, CEC IEEE, CEC IEEE SB, College of Engineering Chengannur, Congress, IEEE, IEEE CEC, IEEE CEC SB, IEEE CECE, IEEE SB, Kerala, SB, Student, Student Branch. Bookmark the permalink.